Work in rounds unless otherwise stated and do not join rounds unless told to. 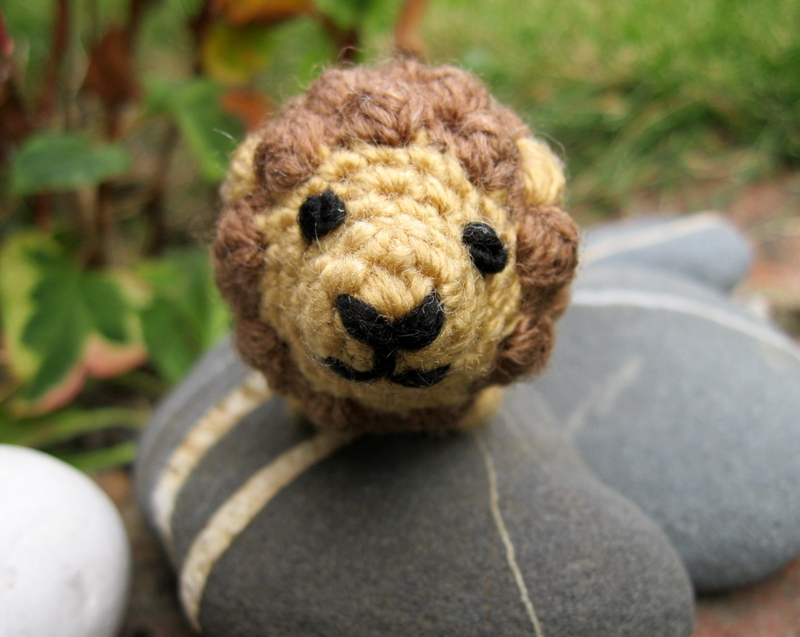 Use a stitch marker to mark the start of a round – a small piece of different coloured yarn placed under the stitch at the start of the round will do. To start a round, you can use the magic ring method, but I prefer (ch2, work 6 sc into 1st ch). 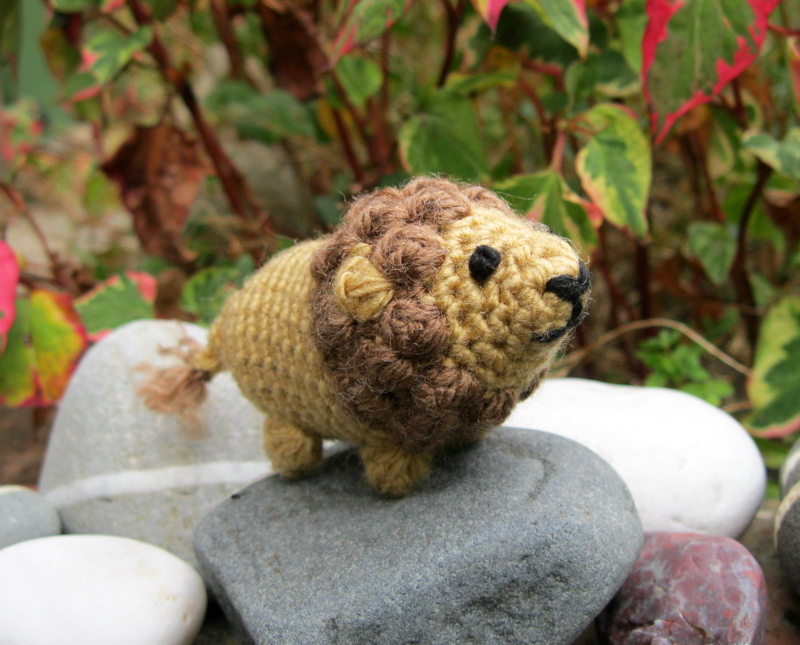 If you work the 6 sc over the tail of yarn as well you can use that to pull the hole tight. Round 3: Sc in each st around – 9 st. Round 6: Sc in each st around – 18 st. Round 13 – 15: (3 rounds) Sc in each st around – 21 st. 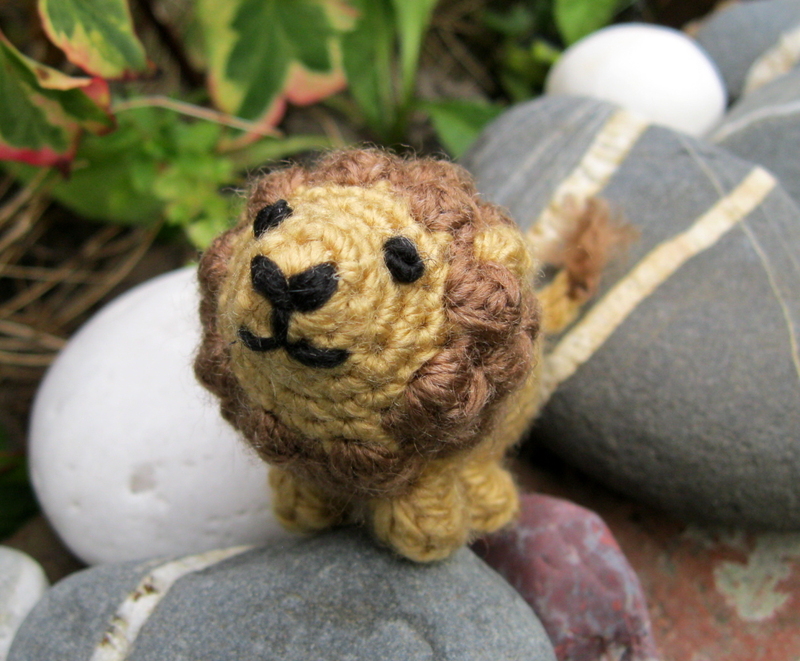 Round 17: Sc in each st around – 21 st.
Don’t forget to check out my free pattern of Leroy the Lion pin on her blog here! 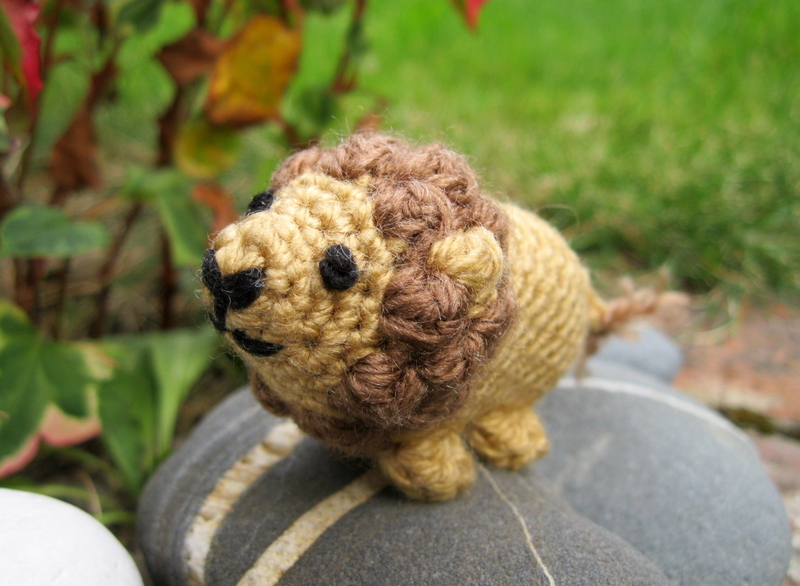 This entry was posted in Amigurumi, Blog, Free, How to, Lion, Lucy Ravenscar, Pattern, Swap on September 27, 2012 by Louis Mensinger.